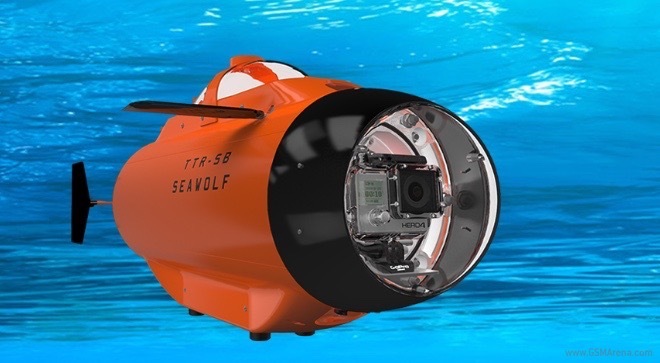 The submarine is designed and manufactured by the Swedish company TTRobotix and comes with a forward-facing GoPro mount. It allows you to capture still images, video, or live footage at up to 10 meters under water. TTR-SB Seawolf is powered by a 5,000mAh battery and is capable of maximum speed of 3.3km/h. The camera will be available in three different configurations – two will have wireless controls and one will feature a 15m or 30m cable. As you have probably guessed, the TTR-SB Seawolf won’t be cheap when it becomes available in August. Pricing will kick off at $999.